Apple Stores are fascinatingly designed (well, there are exceptions perhaps), and it is always huge news to Apple fans if there is a new Apple Store in the works in their area. 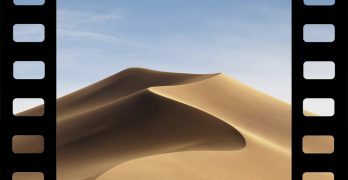 For the people of San Francisco, particularly the Union Square Area, the great news is that the gods of the city have approved a new Apple Store! This touristy district has a high volume of foot traffic, which more or less ensures that the new Apple Store will be one of the busiest ever. Here’s a render. You’ve got to admit that’s pretty, which is actually not out of place, as we already know that Apple Stores can be stunning. 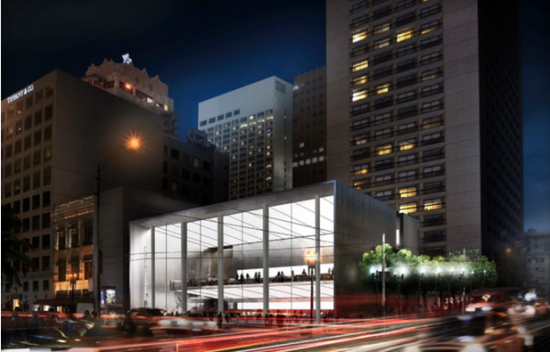 Though the new Apple Store at Union Square is not due to open till 2016, we know that it’s going to be almost 25,000 square feet with floor-to-ceiling glass walls. This store will have about 400 employees, and is supposed to out do the “glass cube” Apple Store in New York City.